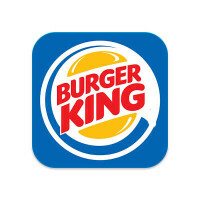 One of the known monarchs in the fast food industry, Burger King has been in existence for more than six decades. And it is still reigning in the game of big food chains in the world. Inspired from a store location in California of another known fast food chain, the original founders and owners Keith Kramer and Matthew Burns founded the iconic franchise in Jacksonville, Florida on the year 1953. With the initial name Insta-Burger King, it was based on a cooking equipment they used known as the Insta-Broiler. To this day, the fast food restaurant chain has continued to serve its famous flame grilled burgers. Burger King has over 12,000 operational restaurants in all 50 US states and in 73 countries and U.S. territories worldwide, many of which are independent franchisees and family-owned that have been in business for years. Burger King has been a successful franchise as it continues to provide easy and quick delicious meals all throughout the day with their signature comfort foods of flame-broiled burgers and sides of Onion Rings and Chicken Nuggets. This makes it convenient for anyone who wants to grab and go for their meals, and a decent food service for events that aim for the casual yet quality goods to serve. Which branches in almost every state, it wouldn’t be hard to place huge orders of their Whoppers for any party. Like most fast food chains, Burger King also offers catering for any occasion. Its ease of service being a fast food chain can make for easy gatherings with not much to think about in terms of food preparation. You can have the Burger King mascot at a children’s party or get their signature Whopper burgers in a meet-up with sports or hobby enthusiasts. It’s that convenient. Despite its popularity, Burger King’s catering prices are not directly available on their official website. It’s best to just call or visit the local branch in the area near you to find out about your catering order costs. Be sure to give a couple days’ notice for orders, given the prep time and necessary arrangements needed to meet requests. However, most of what is served on the regular menu can be catered, whether it’s the famous Whopper or the Ultimate Bacon Cheeseburger. Other than burgers, they also serve a variety of sides, with the staple choices of French Fries, Onion Rings, and Chicken Nuggets. They also have Breakfast Value Meals, and usual favorite picks are their pancake platters, Sausage Burritos, Croissan’wiches, French Toast sticks and Hash Browns. Depending on the selections and the quantity of people to be served, Burger King’s catering prices will vary. You will need to call or come in to discuss Burger King’s catering menu and how they can provide their signature meals hot and fresh for your event. However, the usual price range of most Burger King meals are about a dollar to ten ($1-$10), which is equally competitive rates of most fast food chains.